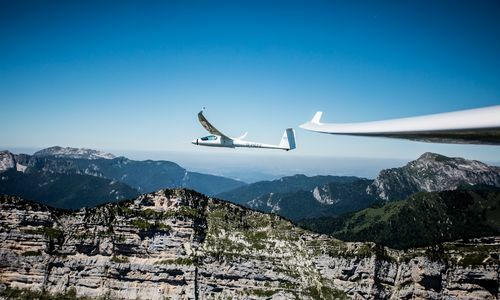 Of course it comes with the foldable and variable pitch prop technology you are familiar with from other Stemme models already. It disappears completely into the propeller dome when switching to glide mode giving pilots all the freedom they need. Richly equipped, the cockpit offers a variety of features. The innovative electric trim and the GARMIN autopilot are an integral part of the cockpit. Disconnected it offers extreme direct control, immediate and sensitive, giving the pilot high accuracy. The convenience of a Glass Cockpit comes with the S12-G, whereas the two G3X panel introduces advanced flight display technology to the pilot. The 7" touch screens including built-in ADHRS, Digital Engine Monitoring, Moving Map Navigation and Autopilot control. It's more ergonomic, accurate and reliable than conventional instruments, making flying more enjoyable and improving the pilots situational awareness.